Terrain is an application for 3D terrain modelling in AutoCAD and BricsCAD. Fill out the form below and you will receive Terrain installation file. You will have 30 days to test and evaluate our terrain application. 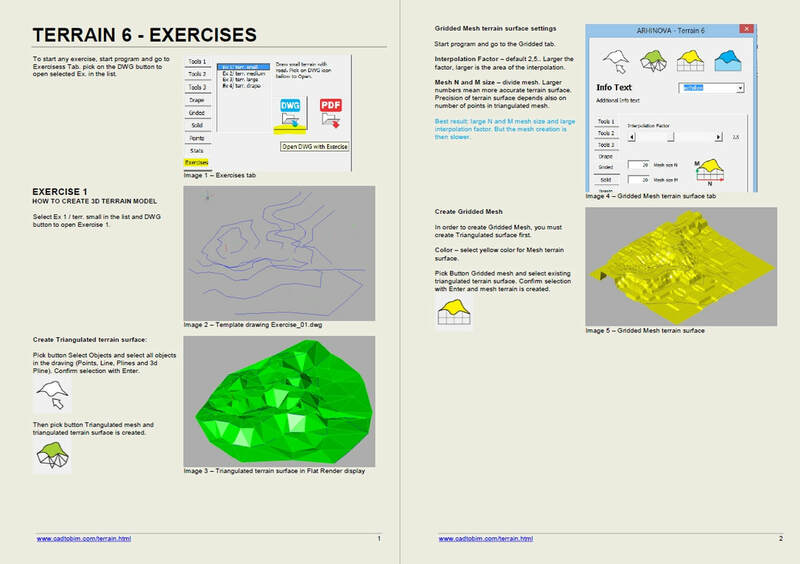 After installing Terrain you will have access to a detailed tutorial and exercises. Tutorial will guide you step by step to create various 3D terrain models. This way you can learn, test and evaluate the product.